WWE NXT Superstar Comes To SmackDown In The Superstar Shakeup, Female Superstars Leave RAW - Wrestling Inc.
Ember Moon and Bayley have joined the SmackDown roster in the 2019 WWE Superstar Shakeup, coming over from RAW on tonight's blue brand show. Kairi Sane has also joined the blue brand, coming up from WWE NXT. Tonight's SmackDown saw Ember Moon and Bayley come out to the ring to confront RAW & SmackDown Women's Champion Becky Lynch. This segment led to Paige bringing her new tag team out, Sane and Asuka. 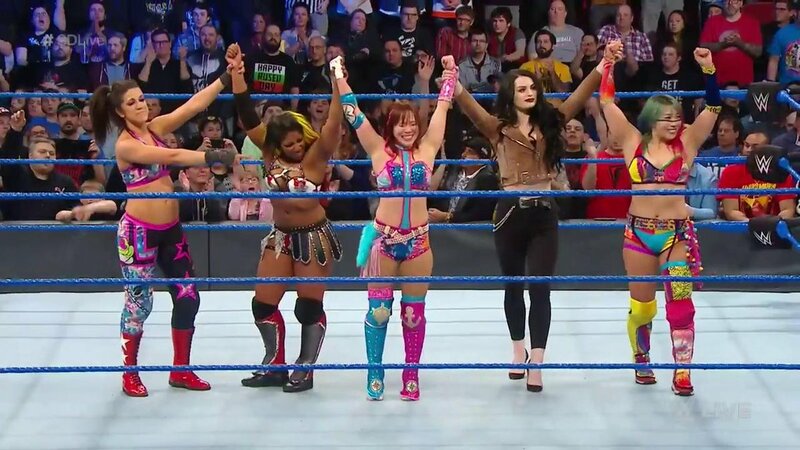 This segment then led to an eight-woman match with Asuka, Sane, Bayley and Moon defeating WWE Women's Tag Team Champions The IIconics, Sonya Deville and Mandy Rose.